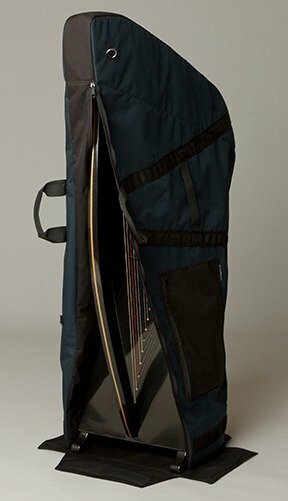 Included with the purchase of your Heartland carbon fiber lever or pedal harp is a fully-padded custom case that is made in-house. 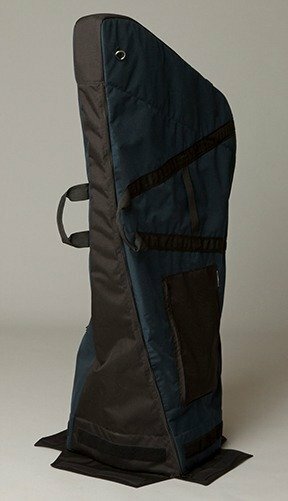 All our cases are fully padded for extra protection. 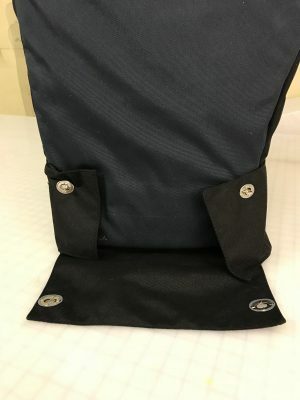 The Infinity case is one piece, with the zipper going up the front of the pillar and across the top of the neck. The Legend, Delight, and Starlight cases are in two parts, with the base piece separate from the ‘dust cover’ style upper part. The pictures below show how the harp goes into the case. 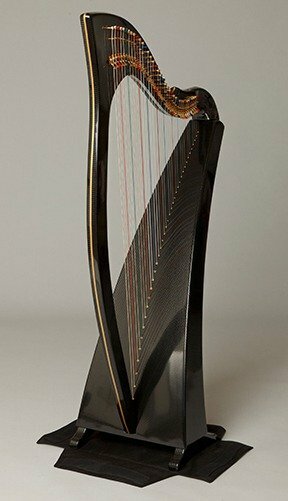 The harp is placed on the base of the case, and the top is put on like a dust cover. The cover is zipped up (down? ), and the base flaps are Velcro’d in place, locking the two together. 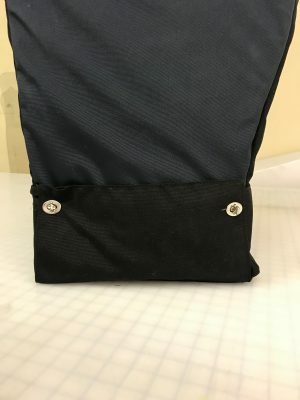 The case comes standard with Velcro for closure at the base. There is also the option of clips at the base instead, as pictured below. These optional clips give you the ability to lower harp into the case while laying on its side. 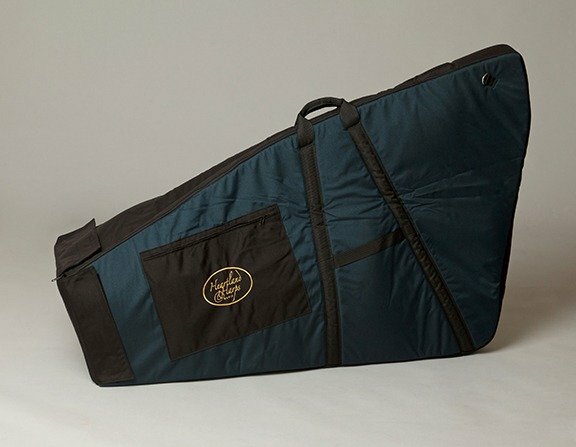 They allow you to keep the base and top pieces of the case attached at three sides, and then simply open one side (zipper side) to lower the harp into the case.